Rochester, NY SWBR was recently recognized by the local chapter of the American Institute of Architects at its 2018 Design Excellence Awards. The annual ceremony honors excellence and achievement in design, sustainability and innovation. 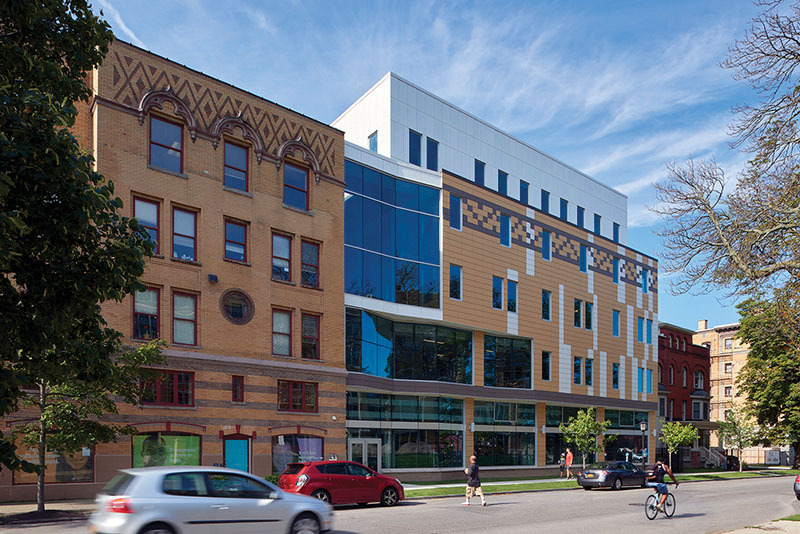 University of Rochester’s Genesee Hall and two of SWBR’s projects with Evergreen Health Services — Evergreen Center and Evergreen Lofts — were honored. Recognized with the Honor Award, Evergreen Center in Buffalo houses a medical clinic and office space for Evergreen Health. SWBR designed the 33,000 s/f, five-story addition, which doubled the size of Evergreen Center’s previous facility. 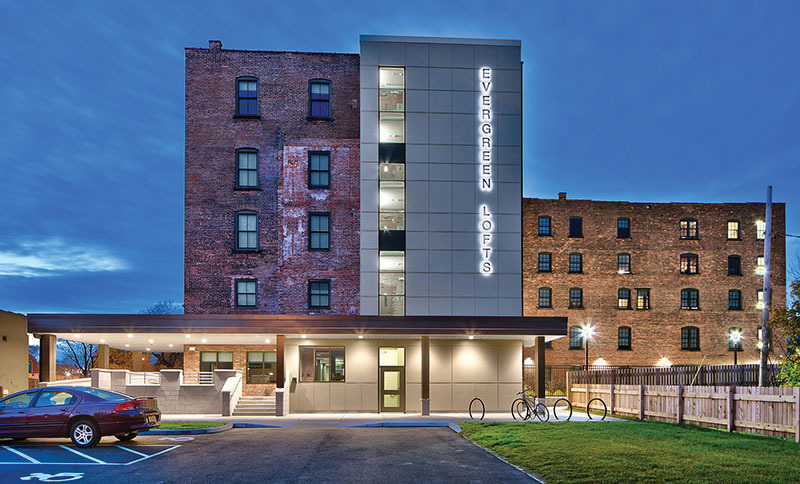 Merit Award winner Evergreen Lofts, also in Buffalo, opened in 2016 with a mission of providing affordable housing for people in danger of or experiencing homelessness. 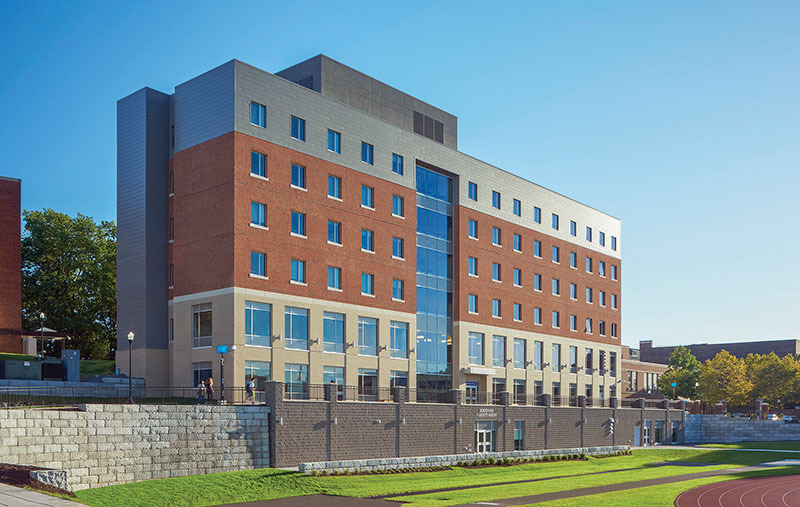 Citation Award recipient Genesee Hall, University of Rochester’s new 72,000 s/f residence hall, integrates academics, athletics and student life into the residential experience. The modern facilities, overlooking the athletic complex, house 151 first-year students and provide convenient access to the fields and sports facilities, making it easier for the students to combine their academic and athletic lives.